Hello! I had the chance to work on a few things yesterday since it was a snowday! I completed December 7th for my December Daily 2012. 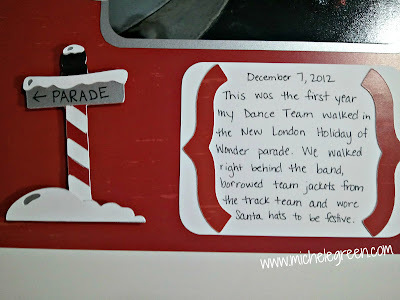 (I did warn you I'd be skipping around...) On this day, my town had it's annual holiday parade. 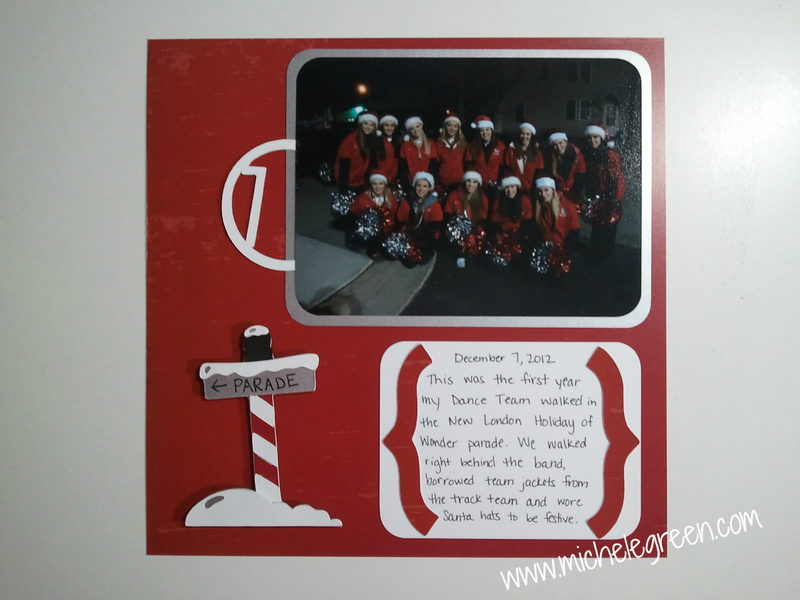 The Dance Team that I coach walked in the parade for the first time. Many of my dancers are also in the band or on flag squad so they were in other parts of the parade. We had a fun time. My daughters also walked with me behind the team and enjoyed walking down the middle of the road (or being pulled in a wagon for my youngest). Sign post is Jolly Holidays at 3"